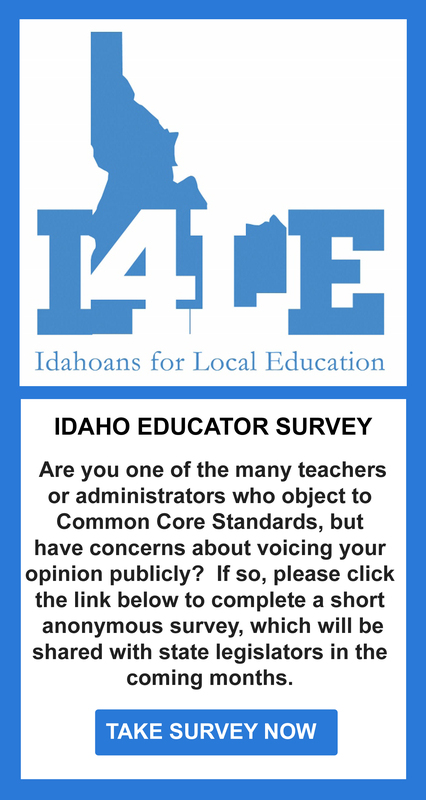 Idahoans For Local Education would like to thank the NCSE for joining the “fear mongers for bad policy” campaign. I’m not exactly sure how on earth you could sit through hours of House Education Committee meetings and still simply feel this was about weather theory. Our legislators were correct last year in putting these off when it was discovered that the science committee had submitted the final draft, without public input. That’s a no-no. This year, they are deciding if being manipulated by some executive branch members into adopting something other than what they expect and putting content into law is really the thing to do. The education committee is doing their job! To be clear, NOTHING in the 2001 standards put any prohibitions on any teaching of any weather theory. Not one. Not to mention that any district can choose to adopt ANY science standards they want as long as those adopted are higher than the minimum set by the state. So, in essence, if these NGSS standards are indeed higher, what is stopping these teachers from using them? Nothing. Just get them adopted by your local school board. “The intellectual and practical activity encompassing the systematic study of the structure and behavior of the physical and natural world through observation and experiment.” Google dictionary. Notice there’s no mention of consensus. And as for their claim that NGSS is the “ best science available ” well, see the Fordham study. If that isn’t enough, research the abysmal results from states such as Rhode Island that were one of the first to adopt the NGSS- proof’s in the pudding. Our question for the elected education committee is when will Idaho decide to step off the federally incentivized, bureaucrat backed, race to mediocracy?